Harvest of Handwovens was a great success! Now I have to replenish my stash for 3 events in November. 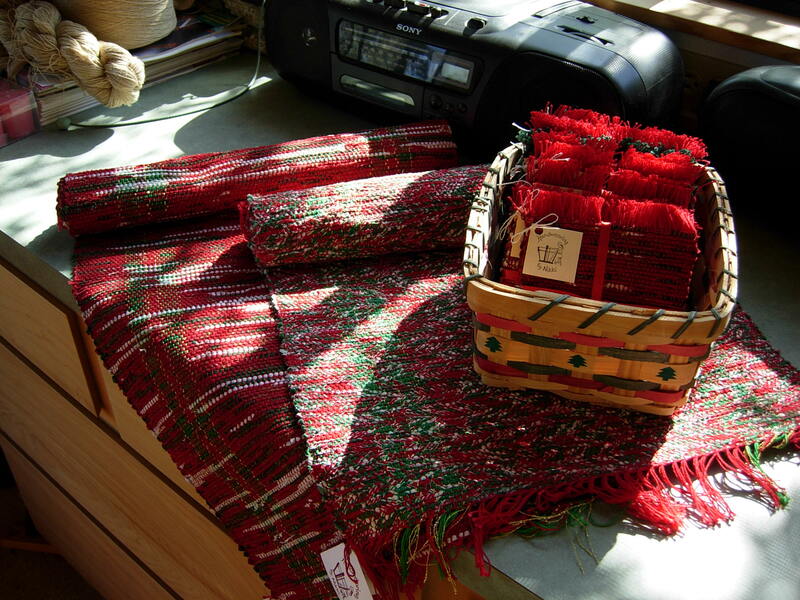 I’m weaving more towels & Mug Rugs, setting up another shawl, some scarves and holiday table runners. Tonight I’ll be making more soy candles. This Saturday is 1st Saturday in 3 Rivers. Our theme is “Leaves” and that’s great because the leaves on the South Fork are gorgeous! I also have my “Oak Leaves & Acorns” note cards. I hope you will visit me. Check out my “Events” page to see what else is happening this month.